Enjoy the best inspirational, motivational, positive, funny and famous quotes by Anne Firor Scott. Use words and picture quotations to push forward and inspire you keep going in life! 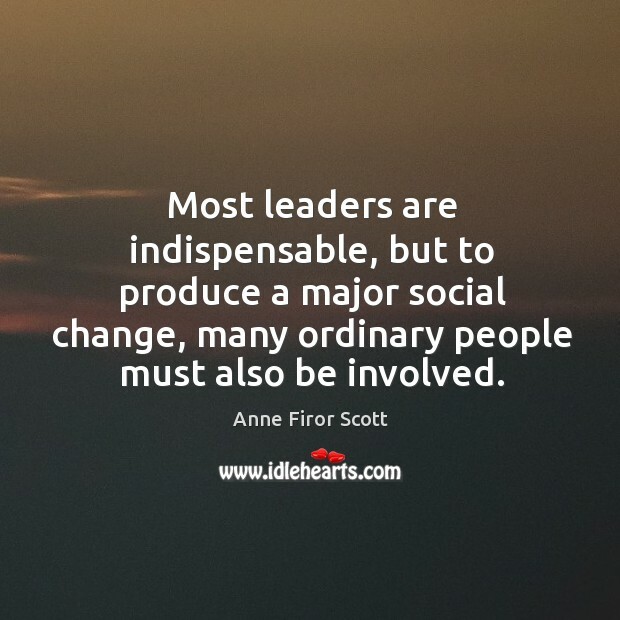 Most leaders are indispensable, but to produce a major social change, many ordinary people must also be involved.